Internet research, Virtual Assistant, Data entry, Accounting, HR, Marketing, Political writing, Legal, etc. so which of these services should my friends NOT be offering in order to be accepted. Not [yet] qualified if only "pre-law" (meaning, basically, just a random undergraduate) (in fact, it is illegal in all U.S. states and territories to advertise as offering, or to actually offer/perform, legal services until and unless one is admitted as a member of the bar! ): Legal, etc. I suspect that "HR" is also oversaturated and/or difficult to accomplish over the internet. This leaves us with "political writing" (plenty of other freelancers out there; not sure of saturation level or of demand) and the vague category of "marketing." ETA: Accounting might well be good, if your friends are well-qualified. Again, I don't know about market saturation or competing pricing from freelancers in developing countries. Omg, those were just examples and I never said that my friend was offering to be a lawyer -- she has a strong legal and policital background in a variety of areas and has received awards from top legal and policital organizations and has paid internships supporting those types of organizations... so yeah, she could offer services related to the Legal services offered here (there's more to the 'law' than being a lawyer and no HR administration is not difficult to do over the internet -- why would it be offered as a service here then? 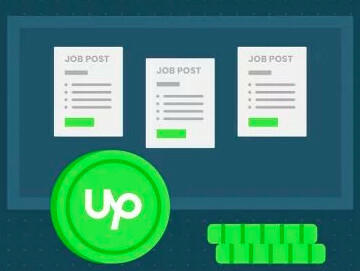 Upwork reviews freelancer registrations and if we find that our marketplace does not have opportunities for them based on their combination of skills and experience, their registration to Upwork will not be accepted. Although we allow freelancers to re-submit their profiles once if they feel they have more relevant skills or experience to add. We will take another look at this information upon resubmission. We understand that this is disappointing to many freelancers that just registered, however, we want to make sure the freelancers we accept have the best chance at success on our platform. This requires us to not only closely review a freelancer’s talents and experience, but also balance with the availability of projects. 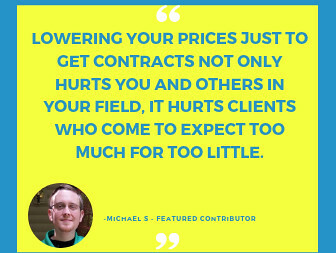 For example, at times our marketplace may have too many freelancers with similar skills competing for a small number of projects. Just playing devil's advocate here Ryan. 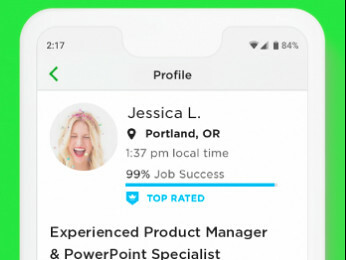 How do you explain the many profiles that have been accepted by Upwork, but which should have been binned? I can think of (and pinpoint) one very recent forum poster apparently holding one of the highest business aministration degrees you can get, but who hadn't the faintest idea what to do when instructed to follow a link. We have also initiatives and programs for freelancers who have had difficulty being successful on the platform. Although I will not be able to share you the details of some programs, please know that these profiles are also addressed accordingly. -- so which of these services should my friends NOT be offering in order to be accepted. and I never said that my friend was offering to be a lawyer -- she has a strong legal and policital background in a variety of areas and has received awards from top legal and policital organizations and has paid internships supporting those types of organizations... so yeah, she could offer services related to the Legal services offered here (there's more to the 'law' than being a lawyer and no HR administration is not difficult to do over the internet -- why would it be offered as a service here then? "Unauthorized practice of law" does not make exceptions for undergraduate prodigies who have "strong legal and political background[s]." Check with our best LICENSED paralegals (several are regular Forum participants) who, themselves, are extremely careful to do only what they are legally allowed to do, and NO MORE. As to HR -- fine, okay. It may well be a promising field here. I don't know. Jen H, nobody is trying to insult you or your friends, but if you come onto the forum ready for a fight, you may get a little flack in return. None of us is responsible for what Upwork's algorithm decides. Many of us have been with Elance/oDesk/Upwork and many others for years, that has nothing to do with what Upwork might think of your recommendations! If your friends are as well qualified and experienced as you say, then there should have been no problem in getting their profiles accepted. So something is out of whack. There are some categories that are oversubscribed, such as data entry, so profiles might well be turned down because of that. However, it is usually because the freelancer has not uploaded their pic, or satisfactorily completed Upwork's profile requirements.